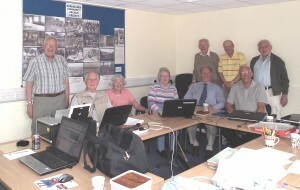 This project was launched on 23rd October 2007 and has successfully established a local history group. Members, guests and visitors meet most Friday mornings at the Shrublands Youth & Adult Centre in Magdalen Way, where the archive is further built and researched. Much of the archive has been developed around the centre’s very extensive useage and history, together with some of the activities and developments that are happening now. Recently the project has started to collect and record the history of the Shrublands and Magdalen estates which both have a host of history that will also be shown on this website. The archive is for local, past and present residents who have an interest in the local history of the area. Shrublands Community Archive Project is currently funded by The National Lottery Heritage Lottery Fund, and administered by East Anglian Complementary Health (EACH).